Hey, readers, today let's discuss some less known and interesting Indian mythological stories. All Indians know so many gods and worships them every day. Many of the people have favorite god among all gods and they will show more love and devotion towards that god. Personally, my favorite god is Hanuman. Readers comment on your favorite god name in the comment section and let me know about more gods. Ok, let me provide some of the famous god names now. 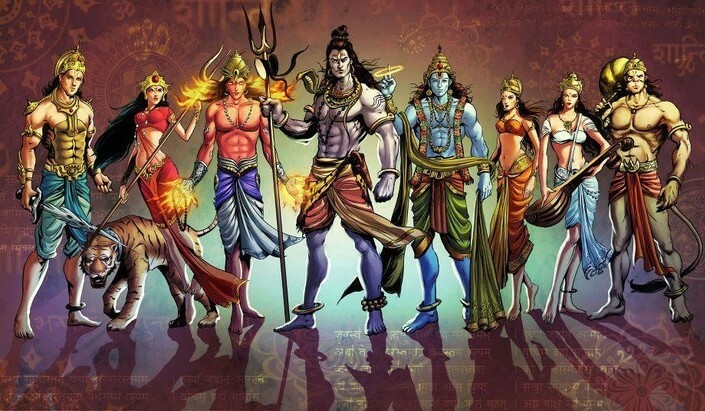 These are some of the famous Hindu gods worshipping mostly by Indians. Note: If I have missed any god name above, suggest me in the comment section then I will add here. For each god, there are so many Mantras and Stotras. For Lord Hanuman, there is Hanuman Chalisa and for Lord Shiva, there is Om Namah Shivaya Mantra. For all gods, there are so many books. For Lord Rama, there is the book named Scion of Ikshvaku. For every god, there are so many stories for each and every unique god. For Lord Rama, there is Ramayana epic and for Lord Sri Krishna there is Bhagavatam. So today I am going to discuss some of the top 3 interesting stories from our Indian Mythology. Read them here and enjoy with the grace of God. There were two demons Hiranyakashipu and Hiranyaksha. Both were cruel demons. Hiranyaksha was slain by Lord Vishnu in the avatar of Varaha. From that time, Hiranyakashipu started hating Lord Vishnu and he did not want anybody to pray and worship Lord Vishnu. But what the most interesting and crazy thing that happened to Hiranyakashipu was he got a son named Prahlada but he was the great devotee of Lord Vishnu from the childhood itself. This made Hiranyakashipu so much of angry and annoy and he tried to stop his son praying Lord Vishnu but Prahlada was the greatest devotee of Lord Vishnu so Hiranyakashipu failed to change his son. Then Hiranyakashipu decided to kill his son so he ordered his soldiers to kill him by taking him away from the kingdom. Soldiers took Prahlada and tried to kill him in so many methods like throwing him from the top of the hill and let him be bitten by snakes and making him drown into the water and make the elephants walk on him. But their plans were failed and they are not able to harm at least Prahlada because every time there was Lord Vishnu to rescue his devotee from so many dangers. Lord Vishnu got so much anger by seeing what Hiranyakashipu was doing for his devotee. Finally, Lord Vishnu turned into Narasimha avatar and killed Hiranyakashipu in front of his son Prahlada. Later Prahlada ruled the kingdom and he got son named Virochana and grandson named Mahabali or Bali Chakravarthy. Abhimanyu was born to Arjuna and Uthara. Abhimanyu was considered to be one of the greatest warriors in Mahabharata because of his braveness and his courageous way of fighting in the war. When Abhimanyu was in the womb of Subhadra, one day Arjuna started saying about Charkavyuha battle and how to enter into the Charkravyuha formation. At that Abhimanyu was started listening to the story from inside the womb of his mother and he grasped the techniques to crack Chakravyuha but when Arjuna was going to narrate how to come back safely from Chakravyuha, suddenly Lord Krishna entered into the situation and take away Arjuna for some work by interrupted Arjuna to stop saying how to rescue from Chakravyuha. So Abhimanyu only knew how to enter into Chakravyuha but not how to come back safely. When Kurukshetra war was going on it was seeming difficult for Kauravas to fight with Pandavas so Dronacharya started the formation of Chakravyuha and wanted to make it difficult for Pandavas. At that time Arjuna and Krishna were not there and they were fighting with Sansaptakas so Abhimanyu tried to enter the Chakravyuha because he learned that art when he was in the womb. So Abhimanyu entered Chakravyuha and made massive destruction to Kaurava army and it was seeming difficult for Kauravas to control that great young warrior but all Kaurava warriors killed him in a cruel way which was not the way to fight in the war. Arjuna was heartbroken by hearing his son's death and he vowed that he will kill Jayadratha in tomorrow war and Arjuna killed Jayadratha as he said. There was a boy named Shravana who used to help his old parents to visit pilgrim places in the last days of their lives. Both his mother and father were old and blind and they were not able to walk. Shravana used to carry both of them in two baskets on his shoulders. One day when Shravana was going along with his parents in the forest near to Ayodhya. Shravana's parents felt thirsty and asked Shravana to fetch some water so Sharvana put both the baskets of his parents in one place and went on searching for water in the forest. At the same time, King Dasaratha was hunting in the forest. 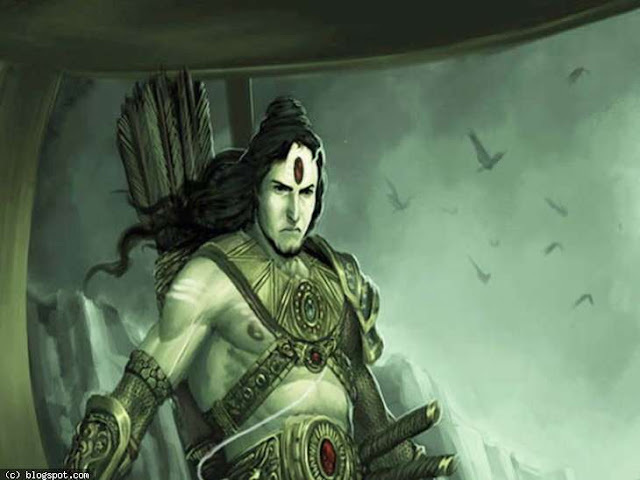 By mistake, Dasaratha Shravana was shot by Dasaratha arrow. He was in severe condition and Dasaratha saw him and felt very sad and asked the boy why he was here. Then Shravana told about his old parents and even though he was going to die he requested Dasaratha to go and give water to his parents. After that Shravana has died. Dasaratha took some water from the pond and went on searching for Shravana's parents and he found them and gave water to them. After they drank water he said that their son has died because of his mistake and asked them to forgive him. Parents of Shravana were heartbroken and started crying and they cursed Dasaratha that he will also face so much sadness and pain for his son like them. After Rama went into exile Dasaratha was very sad and fell into illness and died without seeing his son. Readers, This is all about the Top 3 Small Indian Mythology Stories And Best Books On Hindu Mythology. Be in the grace of God. Stay happy and healthy.